It was a quiet night in Boulder when this suave duo from the late amazing band LCD Soundsystem came to Colorado’s favorite indoor venue, the Boulder Theater. 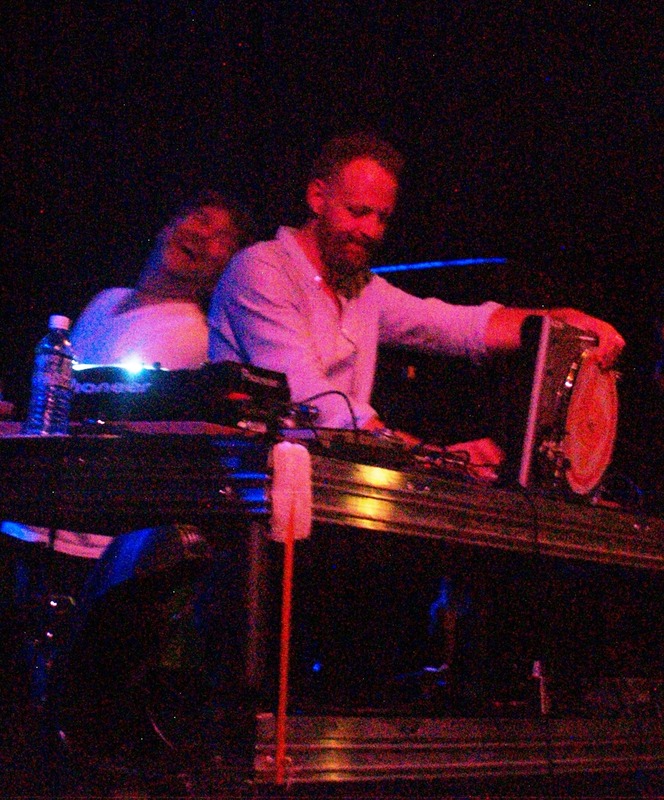 This dj set by James Murphy, who did it all in their previous band (drums, vocals, programming, piano, synthesizer) and Pat Mahoney who played drums and percussion for them, was very anticipated. It was especially special because LCD Soundsystem called it quits in the middle of their prime this past year. The dance-punk band was the closest thing to Talking Heads that we had. What we have now is this dynamic duo, which were part of the band at least, doing the best they can to produce a dance party that is not to be forgotten. The festivities started with some opening mixes spun by New Orleans born, but now local dj, Munson Meeks. He spins Nu-Disco, and he strives for making the listener believe they have been listening to one song with many different sections for 2 hours. It was 10pm, and still the place was very empty. Then, slowly, but surely the hipsters started flooding the venue. There were some fans still sporting the black and white attire requested at LCD Soundsystem’s last show at Madison Square Garden, which will be showing at the Boulder Theater on August 16th. The movie is called, “Shut-up and Play the Hits,” and I heard it is not to be missed. I’ll be there. The duo came on and surprised everyone including employees who even after the third song were saying that they do not come on until 11pm. They eased their way on stage and started mixing. I suspect that most people did not know they were on yet because they sample very unique music such as Flash and the Pan’s “Midnight Man,” and Somatik’s “Diamondstone.” But, on this night, in addition to those obscurities, they graced us with samples of Talking Heads' classic, “Slippery People,” which is so funky and popular that it appears on the album Speaking In Tongues (1983), on the live album Stop Making Sense (1984), and on the box set Once In A Lifetime (2003). They also sampled LCD Soundsystem’s very own “Us v. Them” off of their second album, Sound of Silver, and one of their hottest and fastest dance tunes. This show totally exceeded my expectations. The only reason why my expectations were not as high as they were when I originally saw this show posted was because I saw a YouTube clip of them, and it was not good at all. The live show was so different and a ton better. I saw LCD Soundsystem twice, and there was mixed results between the two shows, although I love the band. The first show was at Coachella a few years ago, and they were amazing. Then, the second time I saw them at Bonnaroo later in that summer, and the show was just okay. That was a weird show because James Murphy was not getting along with the crowd at all. He was on stage literally arguing with them. I have seen several musicians get into tiffs at Bonnaroo with the crowd, but this one was the worst because the show suffered because of it. They did not give it their all that night. But, here at the Boulder Theater, these two djs did not pull any punches. I highly recommend them to anyone interested in dancing the night away.